There are various ways to cook Chicken Korma, it can be richer with cream / coconut or lighter without those addition. Make it even lighter by removing the skin and trim all fats from the chicken before cutting into 10-12 pieces..
Chicken Korma Without Coconut was a family favorite. We love to serve this dish over Dry Fruit Naan. or Ghee Rice / Corn Peas Pulao. Chicken Korma has a strong Persian influence. 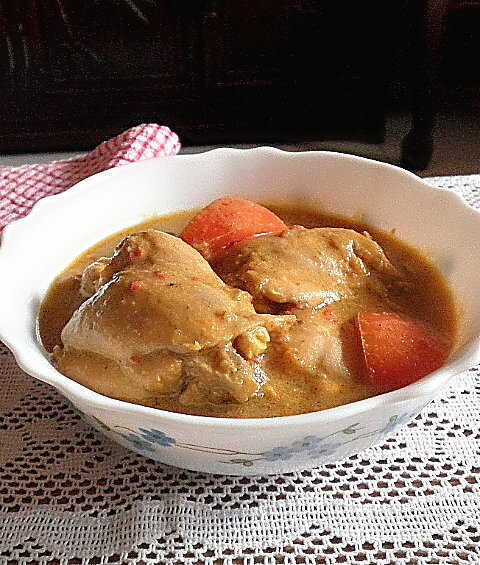 Traditionally chicken is braised and the sauce thickened using ground nuts. In restaurant, it is often full of fat (cream, butter and creamed coconut). Instead I have created a creamy texture by using low fat evaporated milk and thickening the sauce using ground almonds. This recipe is versatile, you can use most meat, fish or vegetables instead of chicken. Have added 2 cups of water but this is entirely up to you, this depends on how thick you want you gravy to be. 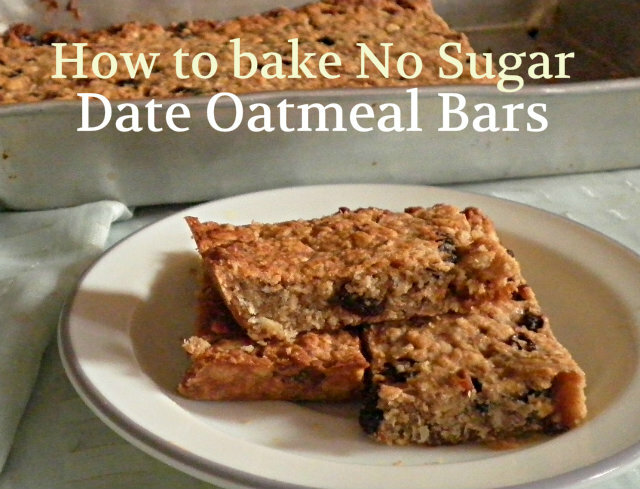 Who can deny the delightful combination of flavors in these No Sugar Date Oatmeal Bars. 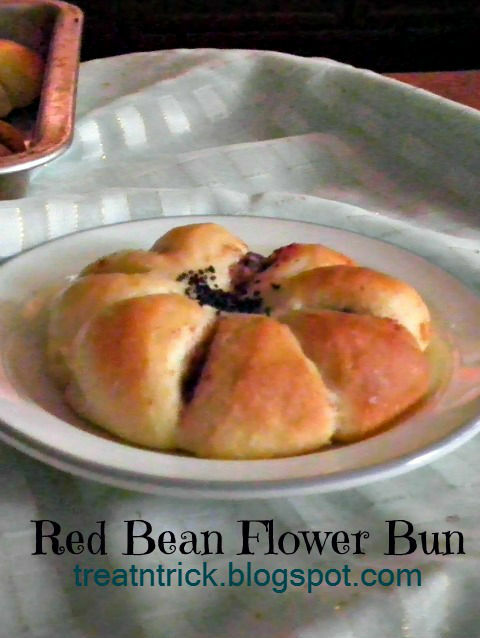 They are a terrific, portable, yummy breakfast and perfect for any time of the day and great to pack in your lunch box. These bars used only 6 ingredients. 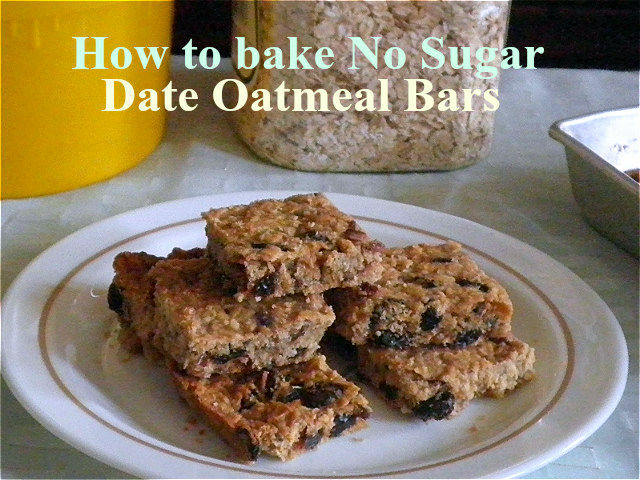 No Sugar Date Oatmeal Bars are light, nut free and sugar free. 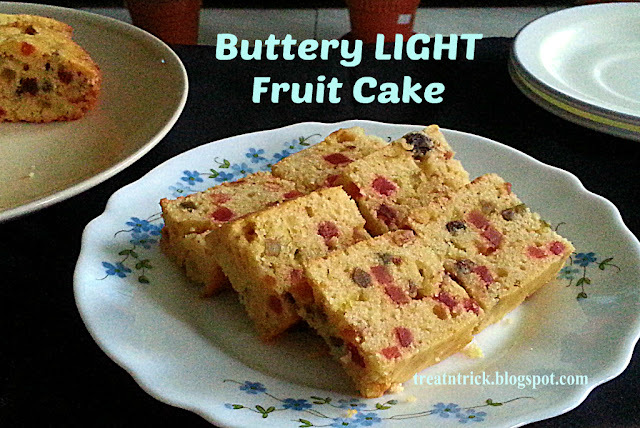 The sweetness came from the date and raisin and these would give your kids a natural sugar lift. I love these mildly sweetened bars but in case you need more sweetness , you could increase the quantity of date and raisin used in the recipe. Add chopped nuts if you like them too. 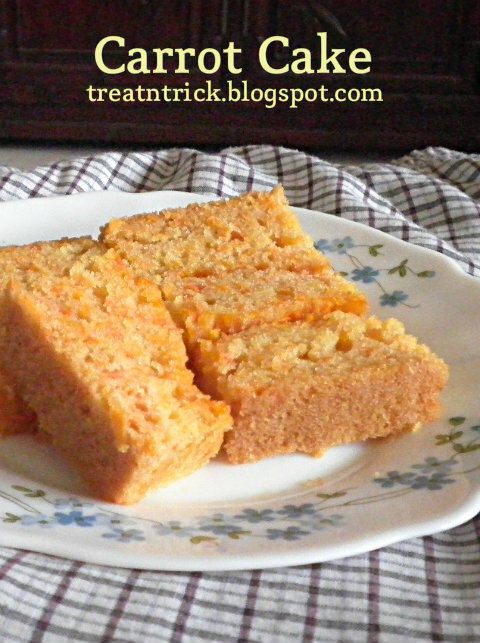 A moist cake filled with grated carrot was incredibly delicious and the best part it was super easy to make. 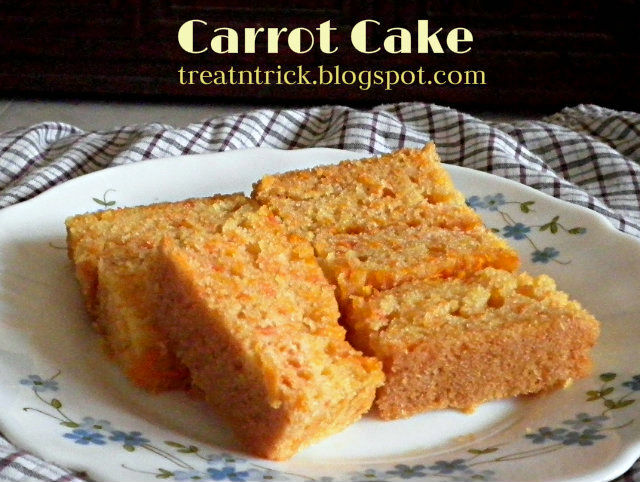 Most probably everyone could able to bake this Carrot Cake since it does not use any special gadget. If you have an oven, you're good to go. I used my box grater for the carrot, unfortunately this tiny bits of carrot were not visible in the cake, wish they have a larger setting for the grater. Make sure you squeezed out the water before adding it to the cake batter. This cake baked beautifully at 180 C for 45 minutes in my oven but your oven might differ so check the cake after 40 minutes. If your prefer to ice your cake, you can do so after the cake has cooled but we love ours without it. Am really hooked on bread baking and quite some time did not share any new project using yeast. I have found baking your own bread so easy and addictive. The smell alone was enough to make me salivate. 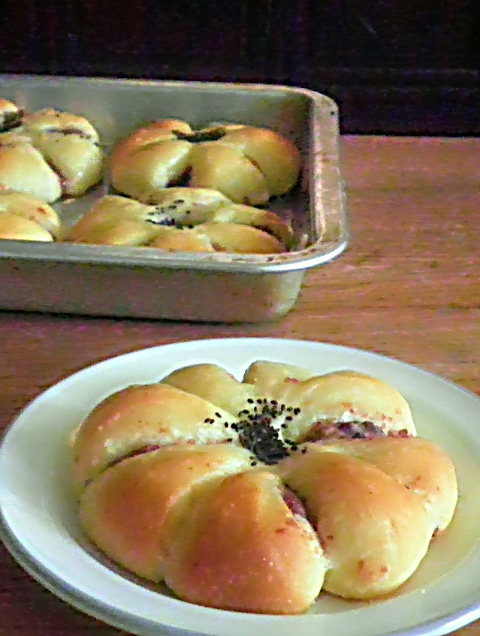 Although I like buying Red Bun Flower Bun from bakeries, I love baking them even more. So decided to make them at home. They tasted better than bakeries and turned out warm. and super fresh. 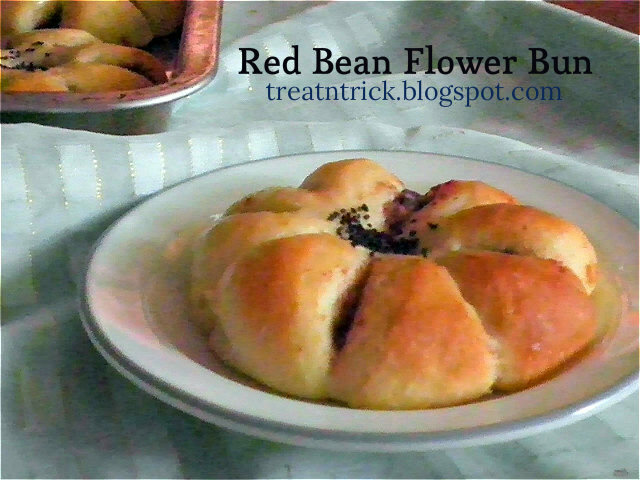 These Red Bean Flower Bun are so appetizing that you will eat at least a couple of them in one sitting. The soft and fluffy bun tastes so delicious, it can be eaten as it is. It is so rewarding to sit down, sip a cup of coffee and devour them freshly baked. You can shape these into a round ball instead if you find shaping them to look like a flower a bit tedious. Anyway what shape you make, they still taste awesome. I was gifted with mango and pomegranate last week by one of my relatives. So I need to make use of these fruit for my baking project. After much consideration, settled on this fiber packed and loaded with fresh fruits Pomegranate & Mango Baked Oatmeal. 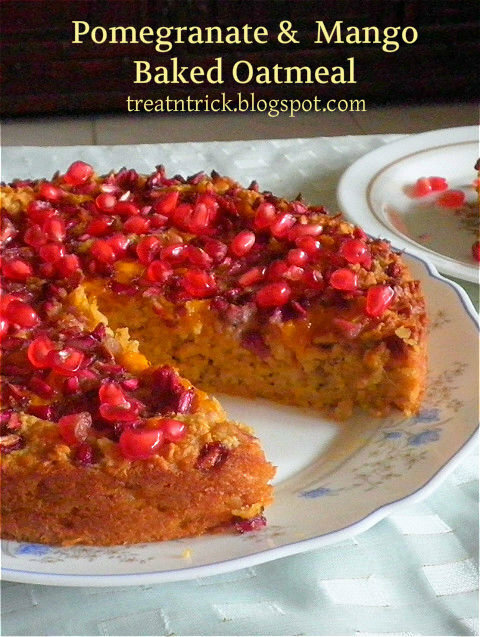 I think this recipe was an ideal choice for clearing up my mango and pomegranate. Used mango juice instead of milk as well as mango slices for topping. Although I live this version, feel free to substitute your favorite in season berries or any other fruits like blueberries, strawberries, apple, chocolate chips, dried fruit or banana. Have you ever made baked oatmeal? What goodies do you like to put in yours?